I wish I could do something indeed! I wish I manage to do for you, something at least indeed. So yes! It is Mom’s birthday today and I’ve left everything aside JUST to write a post dedicated to her. Somehow, it seems like the toughest thing to do. Sometime back, in a random conversation with Mom over tea, she looked into my screen and said, “Is that a book?”. I said, “It’s just ideas listed. More like an index…. Yeah, it could possibly be a book!” She said, “Nice! So, write it for my birthday”. I said, “Okay :D” That way I’ll do something productive! But no … I didn’t write the book. – Owing to my hyper active, more social, poorly organized, totally unscheduled and highly unplanned life, and extraordinary skill to come up with excuses, I haven’t written a word past that day. So yes, the book is far from written. But in the bid of even mentally trying to write it, I realized – that’s the only thing my mom EVER asked me to do for her. And so, when I haven’t written any book, I thought let me at least write a post. And I’ve been struggling since morning – because I have absolutely NO clue where to start! The point is that, we really aren’t those mushy – people straight out of Bollywood or Television. We don’t worship our mothers. We don’t wake up admiring them. We don’t keep them on any pedestal. In fact, we just accept their presence. And the worst situation is when you think you’re better than your parents. I think most teenagers go through that phase (or I am the most hopeless child a parent could have) where you think you know better. When you want things and you THINK you can get them. When you don’t realize that some things in life aren’t in your control. It’s only when life humbles you down, that you look around and observe the lives of people around you. Until I was 19, I thought I could do and achieve everything I wanted, without even a proper direction (yes, I can greatly blame the education system for that. In another thread may be!). I still am pretty much ambitious, but back then, I thought I could do it on my own. It’s only when life humbles you down, that you realize that the people around you matter so much. Until 19, you haven’t’ seen life. The journey begins after that. I remember the days before entrance results, when my mom has been praying hard for me. I remember days she has fasted for our family. I remember days she’s given up things for us all. And I remember saying, “Mom don’t do that” and she shouting at me and asking me to shut up. I remember being hurt by people, and my family defending me throughout. I think we all have this phase in life (Teenage and early twenties) when it’s all about “having your own life”. Back then came a time when I didn’t like festivities (New Years Day, Friendships Day, Christmas, Diwali) because I dint matter enough to the people who mattered to me and festivities only meant a huge confusion on WHO to hang out with. And in a bid to keep away from the crowds of changing people and friendships, I realized that it was my family that remained unchanged. I think more so, as you grow older, you get closer to your families because you realize that your equations with the world outside may keep changing, but with the people who love you by default, it should only get stronger! Next Cartoonist Aseem Trivedi – A Real Hero? 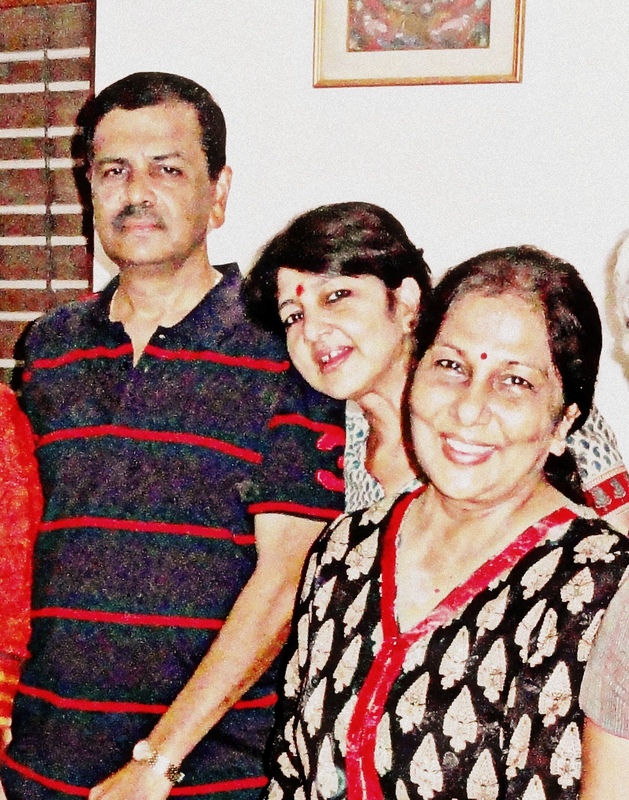 My take – ‘Mom’ is always there in all ‘mom’ents of life. Thank you!! 🙂 I’ll pass on the wishes! its my notes on facebook now. .thank u. Happy Belated birthday to your mom… wishing her health wealth and prosperity..